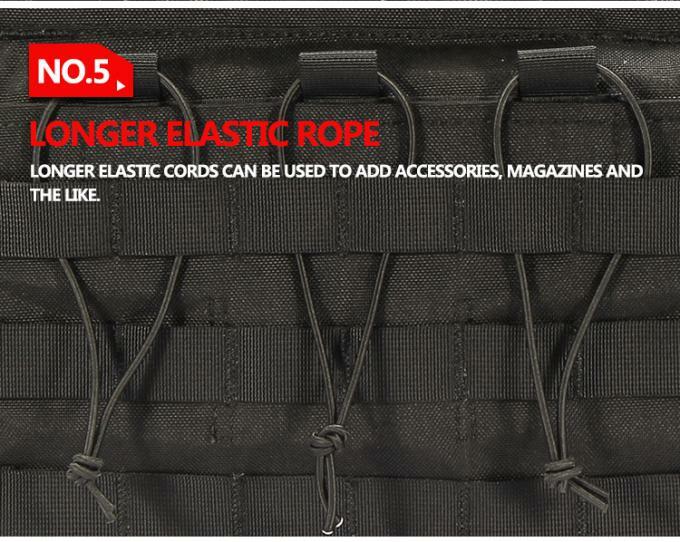 500D nylon: High quality, strong pull and friction resistance. All-around regulated system: Adjust the size freely;wear in your own style. 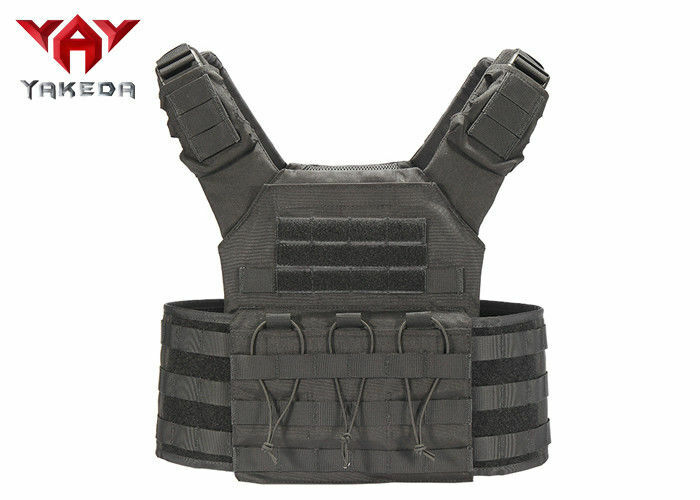 Comfortable: The vest adopts famous and classical vest design, also add sandwich mesh layer and hollow design in the waist to supply users with much comfort and air permeability. Adjustable shoulder straps: There are magic sticker at both sides of shoulder straps for you to adjust the length per your requested. what a humanized design it is! Light protective pad: There are high quality protective pads inside the front and back sodes of the front and back sides of the vest, providing users with double safety and comfort. 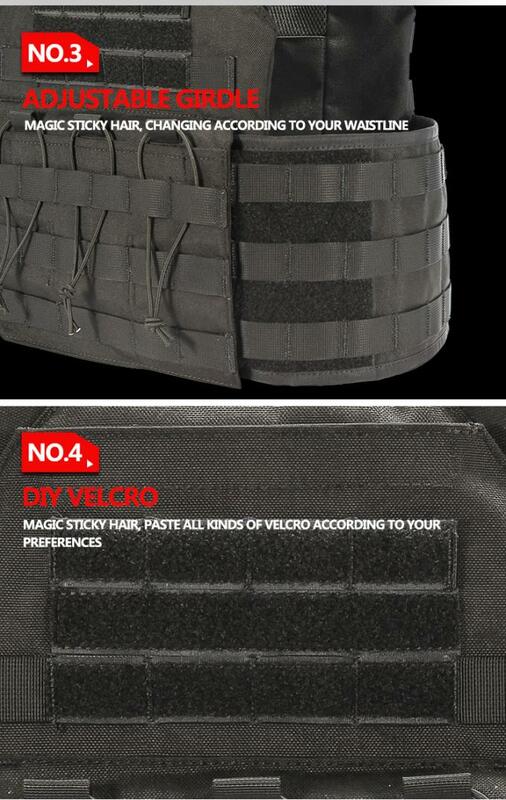 High quality magic sticker: The vest is designed with sticker, the sticker can be used to paste identification badges. they are useful and personalized. 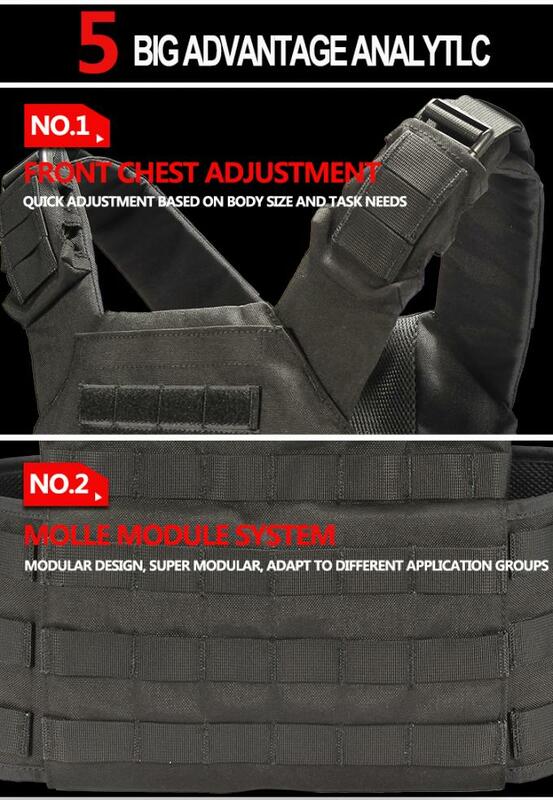 Molle system: the vest can also use with many accessory bag. 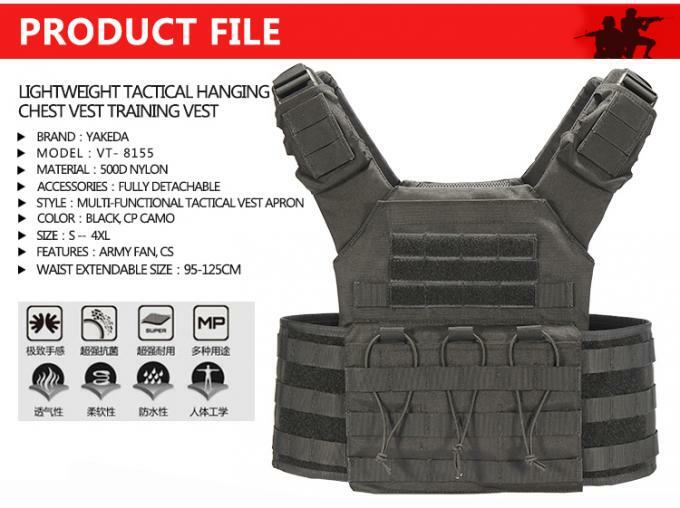 Get more out of your tactical vest with the Modular Operator Plate Carrier (MOPC). Don't let its simple design fool you—this carrier is built for battle. The exterior is covered in MOLLE for modular customization. It boasts a highly mobile operator cut, front and back, and both the shoulders and cummerbund are fully adjustable. This paired with the lightly padded mesh front and back harness make for a comfortable fit. The MOPC accepts full-size plates, up to 10" x 13" plate front and back, and up to 6" x 8" side plates. Lightweight, mobile and intelligently designed, it's guaranteed to meet the demands of the job. 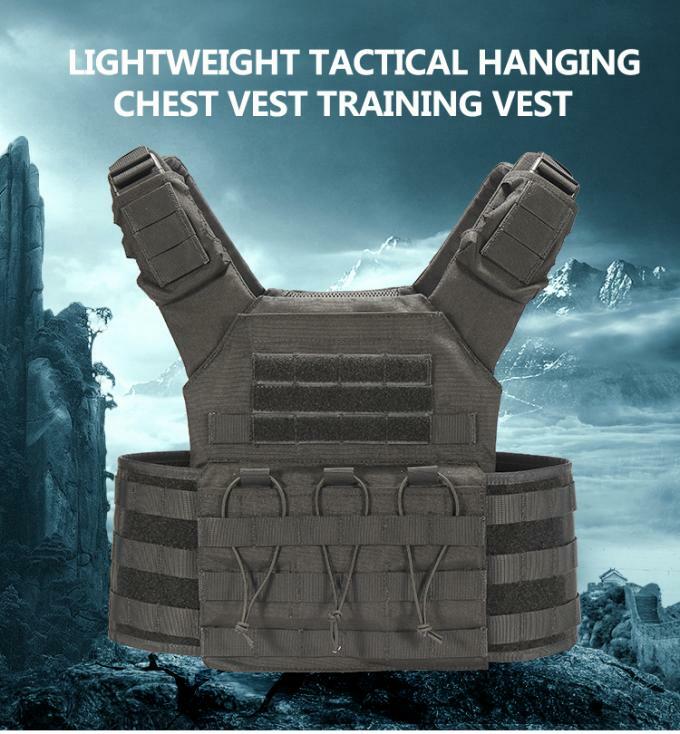 High quality well made vest.